The bank's board of directors adopted the decision on 23 September. 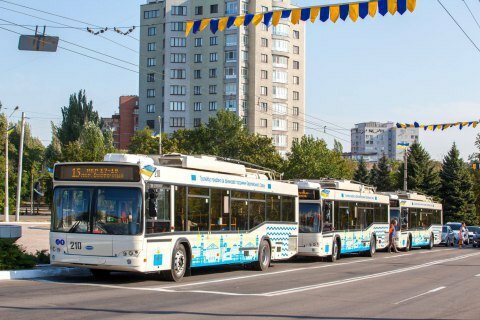 The European Investment Bank will provide Ukraine 200m euros to upgrade public transport in medium-sized cities, the bank's board of directors decided on 23 September. It is expected that the funds will also help to reduce harmful emissions by switching to electric, This will have a positive effect on the local economy, the EIB website said. In spring, Ukraine has received 400m euro loan from the EIB for the implementation of banking sector support projects for small and medium-sized businesses. The loan will be channelled through Ukrainian banks to support development of private sector, on projects of small and medium businesses, mid-cap institutions, as well as projects of social and economic infrastructure, including energy efficiency and climate change adaptation. Will Ukrainians pay for introduction of visa regime with Russia?